A new graphics processing unit that brings supercomputing power to desktops has caught the attention of Anthony J. Lockwood, Editor at Large for Digital Engineering (DE). Selected as the DE Editor’s Pick of the Week for March 29, 2017, NVIDIA’s new Quadro GP100 GPU (graphics processing unit) basically brings HPC (high-performance computing) graphics horsepower to desktop workstations. According to Lockwood, it offers double-precision performance with 16GB of second-generation high-bandwidth memory (HBM2) and a 717GB per second memory bandwidth. 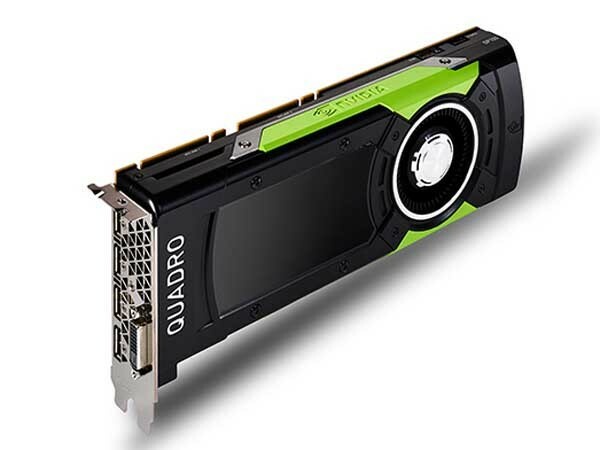 The Quadro GP100 provides more than 20 TFLOPS of 16-bit floating-point precision computing. Lockwood says this means the user can run simulations while designing and get realistic multiphysics simulations quickly. Being virtual reality ready, the GPU will allow the user to integrate VR into their design and simulation workflows. Additionally, the workstation can be used as a deep learning development platform. He adds that a pair of Quadro GP100 GPUs can be merged with NVIDIA's NVLink high-bandwidth, energy-efficient interconnect technology to scale to 32GB of HBM2 memory and build a large-scale visual computing solution on a single engineering workstation. Lockwood concludes that NVIDIA’s new Quadro GP100 GPU opens up several possibilities for design, CAE, rendering, artificial intelligence and VR among many more. Image: NVIDIA says that its new 16GB Quadro GP100 GPU unifies compute and design, effectively transforming the average engineering desktop workstation with the power of a supercomputer. Image courtesy of NVIDIA Corp.